We are located in the heart of Wildwood New Jersey, 1 1/2 blocks from the boardwalk and beach. The Red Oak has been family owned and operated for 43 years and is consistently dedicated to bringing fresh homestyle cuisine for your enjoyment. 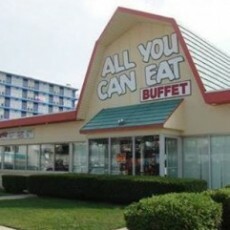 Our "All You Can Eat" buffet has a very large assortment of delicious entrees that is sure to satisfy everyone's tastebuds!